Posted September 9, 2016 by The Rapid & filed under Places to Go. Seeking gently loved items to add to your fall wardrobe?Look no further than The Conscious Collective! Located at 445 Bridge Sweet Northwest in Grand Rapids, you can get on board Routes 7, 9, and 19 to visit this local shop. The Conscious Collective is located in a gorgeous building, nestled between other great businesses, on Grand Rapids’ West Side. Shoppers can find clothing for women and men, as well as an assortment of beautiful home goods. 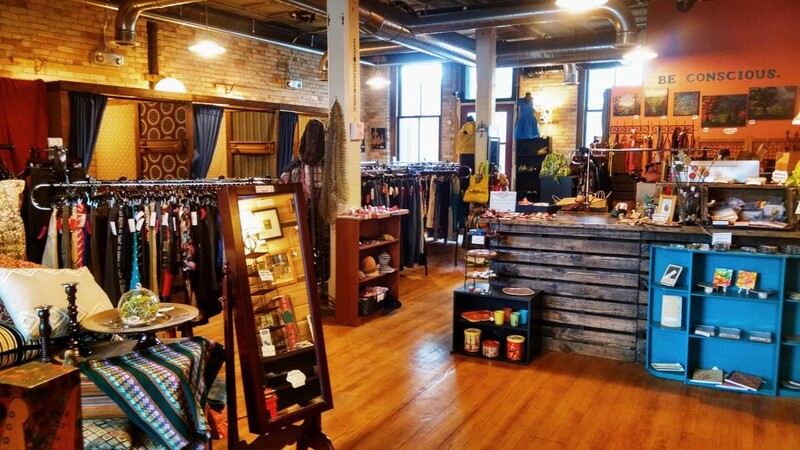 For those looking to make some money,The Conscious Collective not only sells gently used goods that are high quality, but they also offer a consignment process. By consigning your used clothing and gently used items, you can get up to 40 percent payback on what you paid for your objects. Now through September 30, if you mention you saw them on the Fox 17 Morning Mix, you can get 20 percent off one item in the store. The Conscious Collective is located at 445 Bridge Street Northwest in Grand Rapids. For more information, call (616) 719-2222.